How Wireless Video Will Radically Transform the Way We Monitor Traffic - Applied Information, Inc. Most of these video cameras require fiber (rather than 28.8 modems) to deliver a non-latent video feed, which makes them very expensive to deploy. Fortunately, new wireless technology is making video cameras much more affordable and deployable in more locations. In this article, we will look at three key benefits of video cameras and how wireless technology is making those benefits more accessible to cities. Wireless video could quickly transform the way that we monitor traffic and respond to problems. Video cameras can be used to provide information on approaching or waiting vehicles at an intersection, which can turn any traffic intersection into a smart one that maximizes efficiency. During harsh weather or special events, traffic engineers can visually inspect intersections to dispatch personnel or adjust light schedules to maximize traffic flow. In addition to helping motorists, video cameras can be used to detect pedestrians and activate in-road warning lights or flashing beacons. On-demand signaling is much more effective at alerting motorists of approaching pedestrians than continuously flashing lights, and it doesn’t require pedestrians to take any actions, unlike pressing a button and waiting for a signal. For example, imagine that your city is home to a major league sports team. Game days are likely characterized by heavy traffic congestion, significant pedestrian activity and potential security risks. 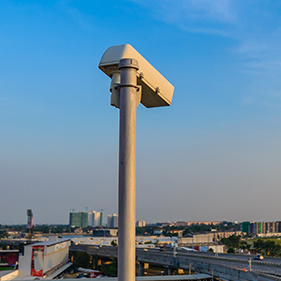 Video cameras can help address these concerns by providing traffic engineers, police and other personnel with a real-time look at what’s happening on the ground. Effective incident management depends on fast detection and verification. With each minute that passes, the risk of another accident compounds. Video cameras can help traffic engineers quickly detect major incidents and respond with the appropriate resources without waiting for emergency calls from motorists or pedestrians. This can dramatically cut down response times. Similarly, malfunctioning intersections can quickly turn a busy road into a dangerous free-for-all parking lot. Video cameras enable traffic engineers to quickly identify these problems and respond without waiting for motorists or pedestrians to call in the problem. This can dramatically improve response times and ensure that everything is functioning properly citywide. If an incident does occur, video cameras can also provide evidence for use in judicial proceedings without having to rely on eyewitness testimony. These dynamics could enable police to more effectively respond to traffic incidents in real-time if they can quickly access recent footage and identify the causes of accidents as well as responsible parties. Traffic data can be tremendously helpful in optimizing light schedules, organizing detours and routing traffic in the most efficient way possible. Video systems can help traffic engineers differentiate between fluid, dense, congested or stop-and-go traffic, as well as see how road work is impacting travel times and commutes in high-volume routes. Future machine learning technologies could also enable analysis of the video captured from these systems to predict future traffic flow or even intelligently route emergency vehicles by interfacing with preemption systems. While this data can be collected through other means, visual identification can be very helpful and provide peace of mind. Traditional monitoring solutions could display unusual data or experience a glitch, which is when wireless video can step in and provide the extra assurance that everything is running smoothly—or knowledge that a key problem has arisen. The problem is that video cameras have historically required fiber optic cables to provide enough bandwidth for wireless video—a problem for many cities that still use modem-based technology at traffic intersections. Fiber costs upwards of $10,000 per mile for the cable and labor to install it. In addition to these costs, cities must pay for the added equipment (patch panels, transceivers, routers, etc.) and ongoing maintenance costs. There are also costs associated with the interruptions that digging can make in traffic flow and business operations throughout the city. It’s no small endeavor. The good news is that there is an alternative—cellular technology. 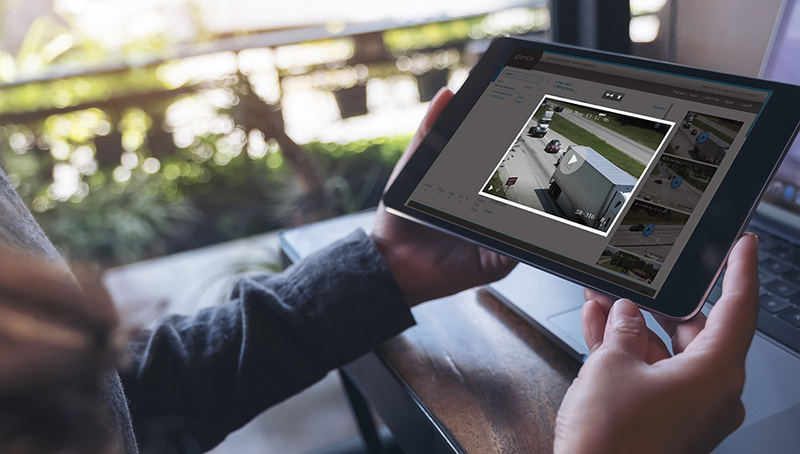 The Glance Video solution from Applied Information enables you to deploy wireless video verification without laying down costly fiber optic cables. Instead, we rely on LTE cellular modems at each intersection to power the video while also supporting other smart city solutions that require high-speed data. You can realize all of the benefits of conventional video cameras without the cost of laying fiber, which enables you to both lower costs and deploy the technology in more places. I’ve forwarded the article to Radio 702 in the hope that they’ll contact Bryan and tell his story here in RSA.